While the Constitution Health Insurance Company went out of business in 2009, the Constitution Life Insurance Company offers similar products and services. Constitution Life Insurance Company products are geared towards senior citizens and Medicare insurance policy holders. Because Medicare does not pay the total costs associated with medical procedures, many Medicare recipients opt for supplementary coverage. See health insurance rates fast by entering your zip code! The Constitution Life Insurance Company is owned by Universal American, which was established in 1929. 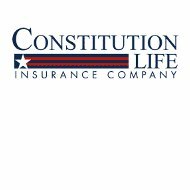 Constitution Life Insurance Company offers life insurance, acute care coverage, and dental insurance in addition to its range of Medicare supplementary insurance products. Senior citizens that are anticipating surgery, or who regularly require long-term hospital stays can purchase Constitution Life Insurance Company’s hospital indemnity coverage. Because the Constitution Life Insurance Company is a subsidiary of Universal American, all hiring is done by way of the Universal American website. There is a long list of open positions listed on the Universal American website, ranging from customer service and clinical services to marketing and sales. Few of the positions listed require travel. Not all of these open positions are for the Constitution Life Insurance Company. Universal American and all of its subsidiaries have made a pledge to diversity in the workplace. No information on the benefits offered by Universal American was found. The Constitution Life Insurance Company primarily sells Medicare supplementary and Medigap insurance products, however, this company also offers several other types of insurance products that appeal to senior citizens. Because insurance products from Constitution Life Insurance Company are not offered in all states, consumers will need to fill out a form or call the customer service phone number to get pricing information. Although the Constitution Life Insurance Company provides coverage for senior citizens and those that have Medicare coverage, each customer will need to find out what hospitals and doctors are in-network. Any services or treatment rendered outside of Constitution Life Insurance Company’s pre-approved list of physicians and health care facilities will not be covered. The only applicable exception is for patients that require emergency medical treatment. The Medicare supplementary coverage extended by Constitution Life Insurance Company pays for most out of pocket costs. Depending on the patient’s deductible, Constitution Life Insurance Company will cover co-payments on prescription drugs and all fees associated with subsequent medical treatment. Constitution Life Insurance Company also offers Medicare Select, which is similar to traditional Medicare supplementary insurance policies. Customers have the option of being treated by doctors regardless of whether or not they are a part of Constitution Life Insurance Company’s PPO. There is no email address listed for Constitution Life Insurance Company. The phone number provided on the Constitution Life Insurance Company website is 1-800-789-6364. Nearly all of Constitution Life Insurance Company’s contact with customers is conducted over the phone. The Constitution Life Insurance Company Agent Services Department operates from 9AM to 5PM. Customers that have question on the weekends or outside of standard business hours can also get in contact with the Constitution Life Insurance Company Agent Services Department by using the agent contact form on the official website. General questions about pricing and coverage can be answered accessing the request information form. This document should be filled out by anyone that has not purchased a policy and would like to receive a brochure or a call from a customer care agent. There is no way to get an instant quote online from the Constitution Life Insurance Company; however, interested consumers can receive quotes over the phone. Constitution Life Insurance lists the amount of coverage that each policy provides on its website. Coverage for patients with pre-existing conditions will be more expensive than policies purchased by those that are in good health. The insurance product features listed by Constitution Life Insurance Company provide a moderate amount of information for consumers that are interested in buying policies. Independent sales agents and employees of Constitution Life Insurance Company can provide more accurate and detailed pricing specifics. To see your health insurance quotes input your zip code!